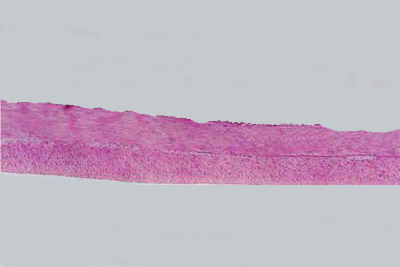 This histology slide shows smooth muscle. This section shows both cross section and longitudinal section. This section is taken from the small intestine; it is the inner circular and outer longitudinal smooth muscle of the muscularis externa. There are spindle shaped cells.